Section 1: Update the CTE Program Advisory Committee roster. Designate the chairman (must be from business/industry) on the roster. The advisory committee membership must be comprised of a majority of business/industry members. The advisory committee membership must also include the parent of a student and a post-secondary member. The program teacher will be a non-voting member of this committee. 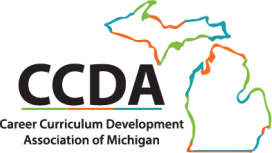 Section 2: Develop the CTE Program Advisory Agenda. Each CTE Program must hold a minimum of 2 advisory committee meetings per instructional year. Advisory committees provide input on planning, development, implementation, operation, facility, promotion, evaluation and maintenance that result in continuous program improvement. Each of the topics should appear on the agenda and in the minutes at one or more of the meetings. Section 3: Check for appropriate program facilities, equipment, materials, and resourfces. The advisory committee should review these things to be sure they meet current industry standards and technology. Textbooks and software are less than 5 years old. Evidence should include Equipment inventory and technology inventories with purchase dates, textbook and sofware with copyright dates. Upload the membership roster showing that one member sits on the disctrict Reproductive Health Advisory Committee. Discussions with advisory committees should include equipment and supply needs. A current inventory will aid the discussion. These are sample templates that can be used for your advisory committee meetings. This is one example of an advisory committee agenda template. It's in word and can be downloaded to your computer and changed as needed. This was provided by a CCDA member for your use..
Anti-Bias Curriculum and Facilities Statement allows for advisory committee to acknowledge that all classrooms and their included materials, curriculum, and environment are free of bias and accessible to all students. Sample Agendas (Fall and Spring) provide possible agendas for a program advisory meeting. Inventory template provides one method to document inventory. Advisory Board Roster provides one method to identify the Advisory Board Members. Minutes Template provides a method to take minutes during a program advisory meeting.